Leaving things a little better than we found them. We're serious about improving our sport, laying the groundwork for more trails. Our members don't just talk the talk, we walk the walk. Riding our wonderful Minnesota trails is just part of the experience for Rapids Riders ATV Club members. Our members are involved in area trail planning to expand riding opportunities. Hours of meetings, mapping and evaluations go into every mile of new trails and our members step up to the plate for ATV riders. 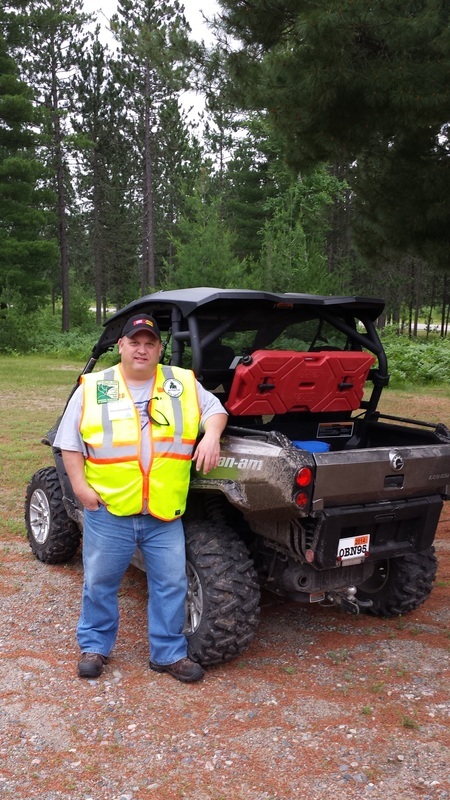 We have members that have been trained by the Minnesota Department of Natural Resources as Youth Safety Instructors. All of them are volunteers working to train and educate young riders, a proven trail to increased rider safety. Every year more Rapids Riders members become state certified as Volunteer Trail Ambassadors. Monitoring trail conditions, advising trail riders, providing a set of eyes and ears for trail maintenance crews. Our TA's are on the trails providing maps, answering rider questions and pointing out the highlights of area trails.